I realized this morning that whenever I’m planning my next WHAT TO DO WEDNESDAY post, my favorite thrill rides always try to sneak their way to the top of the list. 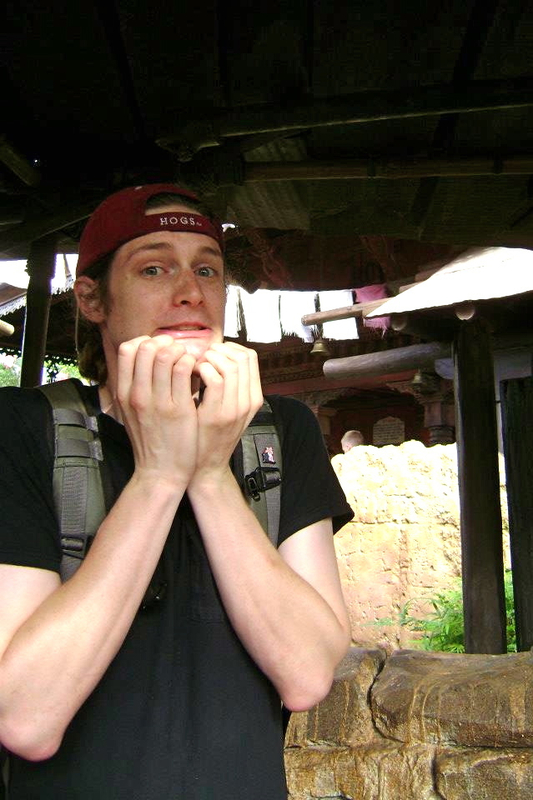 But hey, maybe you’ve got kiddos that aren’t able to do thrill rides, or maybe you look like my brother over here at the thought of attractions such as Expedition Everest. Or perhaps you’re just one of those people who enjoys any type of attraction – calm to wild. 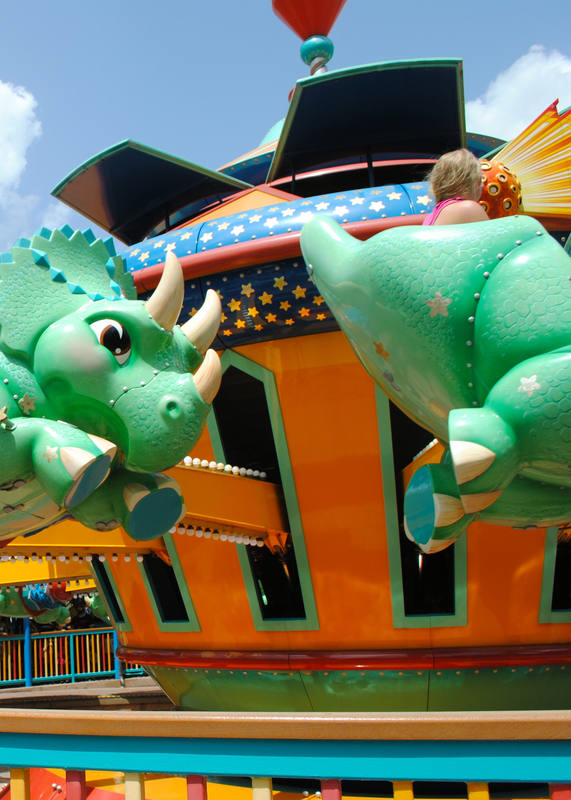 With that in mind this week, WHAT TO DO WEDNESDAY is heading to a very enjoyable, kid-friendly attraction: TriceraTop Spin at Disney’s Animal Kingdom. TriceraTop Spin is an uncomplicated concept designed from the idea of an old-school, tin push top. Get it!?! TriceraTOP Spin! Moving on… The base of the ride, shaped like the old-school top, is orange, red, turquoise, and blue with whimsical little gold stars. 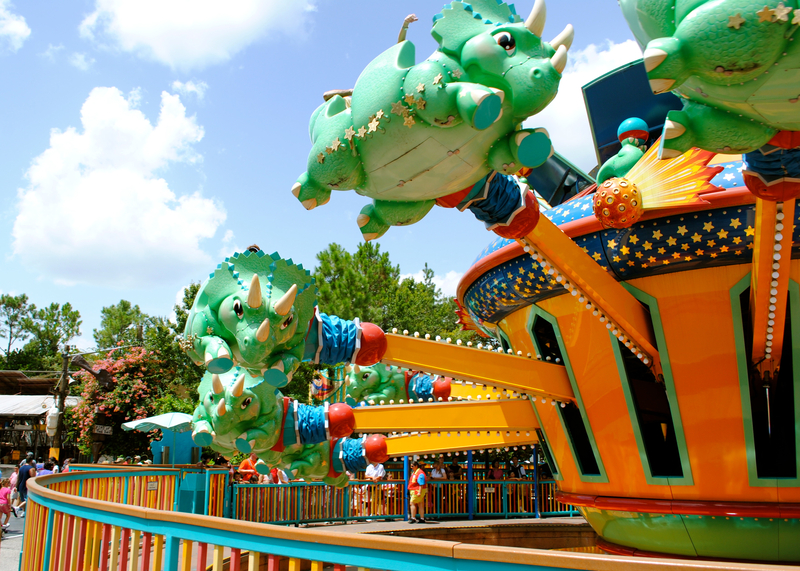 Arms extend from the base sporting turqoisy-green Triceratops dinosaurs that are waiting to give you a spin around in the air. (I bet you didn’t know Triceratops could fly.) There is even a blazing comet that spins around the top going the opposite direction of riders. 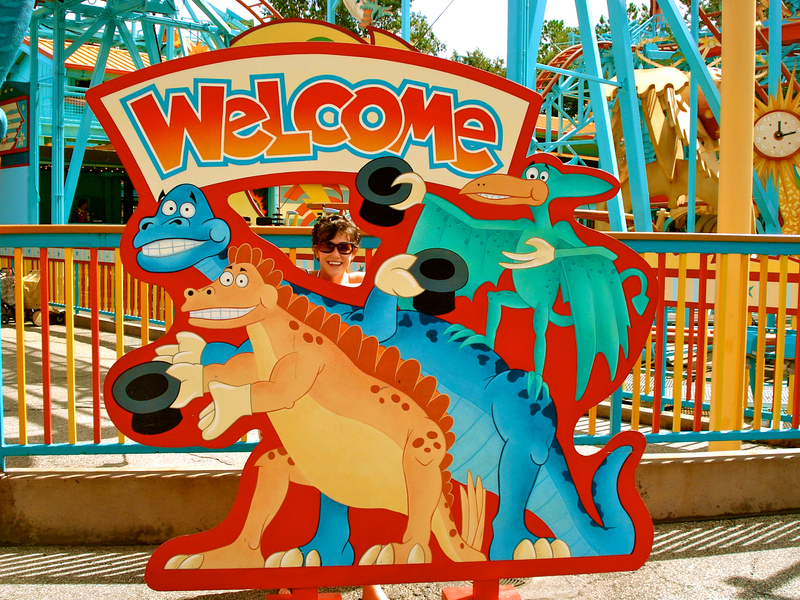 Each Triceratops can seat up to 4 people amongst its two rows. 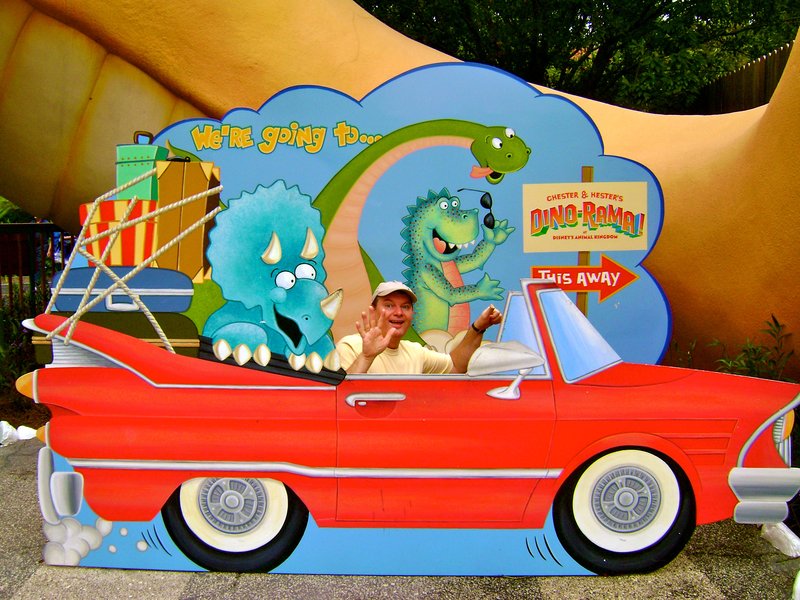 The fun part about this ride is that each row has a joystick which controls your individual dinosaur. 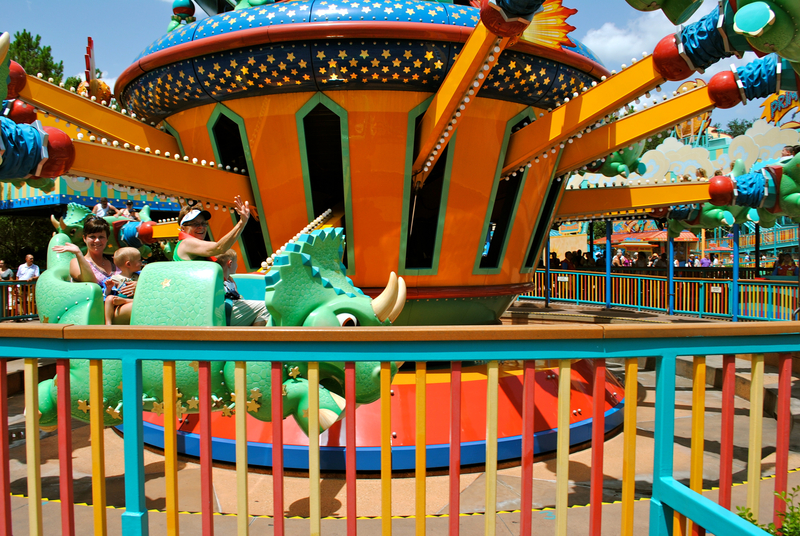 The back row controls how high or low the dino flies, while the front row can tip the dino forward or backward. I think for a kid, this is fantastic. How exciting, to be able to make your dinosaur fly higher or lower as you see fit. Adults will enjoy the breeze on their faces and the views that the higher vantage point offers. TriceraTop Spin is definitely a simple pleasure. But sometimes it’s the simple things that we remember the most – especially when you’re a kid. 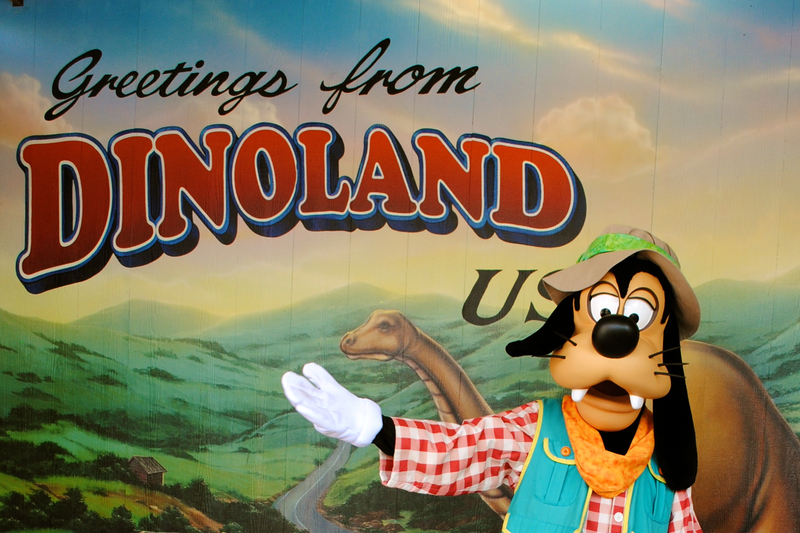 Copyright 2013 Walt Disney World Blog. The information in this blog represents the opinion of the author. This side is not affiliated in any way with the Walt Disney World company or any of its affiliates or subsidiaries. For official information on Walt Disney World: Click here.